I'm a big fan of the films of Wes Anderson -- The Royal Tenebaums is my favourite all-time film -- and it was with great excitement that I caught a screening of his latest film The Grand Budapest Hotel a week or two ago. True to Anderson's style, his latest was a tale of adventure (and misadventure), nostalgia, and love with quirky comedic turns, this time steeped in the mystique of a grand hotel and a few key members of its staff. The film opens with a young girl arriving at memorial holding in her hand a copy of a book, also called The Grand Budapest Hotel. She begins to read and we are whisked into the story that is presumably on the pages in front of her. I immediately loved this device--the framed narrative based on a book, even a fictional one, certainly appealed to my more bookish nature, but a brief credit at the end "Inspired by the Writings of Stefan Zweig" sent me scrambling to do some research and find out a bit more on a true-to-life literary connection. I had never heard of Stefan Zwieg. According to his wikipedia entry Zweig "was an Austrian novelist, playwright, journalist and biographer. At the height of his literary career, in the 1920s and 1930s, he was one of the most popular writers in the world". With the popularity of Anderson's films, it won't surprise you to learn that I'm not the only person who seems to have gone off in search of the answer to the question "who is Stefan Zwieg?" Google that name and you'll get a slew of recent news stories that tie the film and Zweig together: including The New Yorker, The BBC and Time Magazine, all of which are bringing the name of a largely forgotten writer to the attention of 21st Century movie goers and readers. Readers looking for a taste of Zweig can turn to the library catalogue, although you may have to wait a little for a large selection of titles. Indicative of the way that English reading audiences have largely forgotten Zweig, the library currently only holds one book by the author in English, although several more are on order. 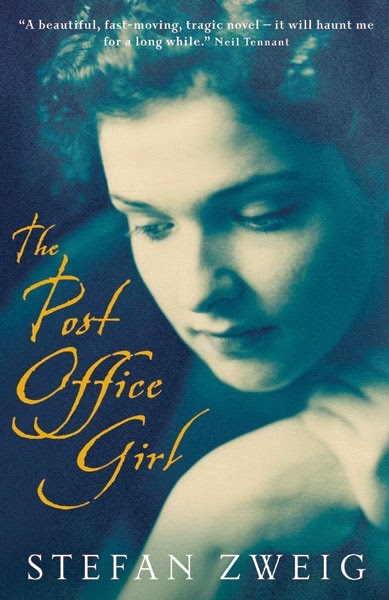 For now, you can try The Post Office Girl: "The post-office girl is Christine, who looks after her ailing mother and toils in a provincial Austrian post office in the years just after the Great War. One afternoon, as she is dozing among the official forms and stamps, a telegraph arrives addressed to her. It is from her rich aunt, who lives in America and writes requesting that Christine join her and her husband in a Swiss Alpine resort. After a dizzying train ride, Christine finds herself at the top of the world, enjoying a life of privilege that she had never imagined. But Christine's aunt drops her as abruptly as she picked her up, and soon the young woman is back at the provincial post office, consumed with disappointment and bitterness. Then she meets Ferdinand, a wounded but eloquent war veteran who is able to give voice to the disaffection of his generation. Christine's and Ferdinand's lives spiral downward, before Ferdinand comes up with a plan which will be either their salvation or their doom." Keep an eye on the catalogue for the arrival of further books including Beware of Pity. 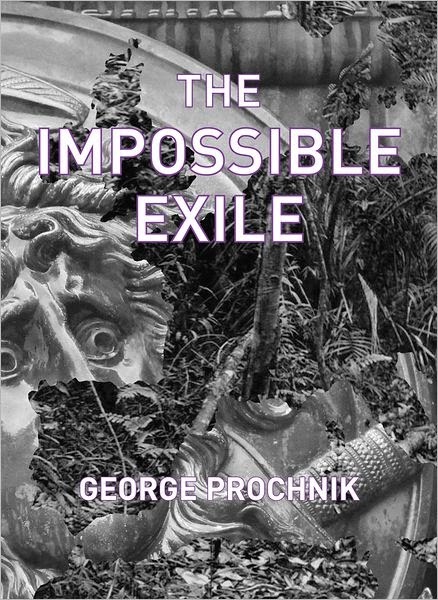 Next month, those who want to know even more about Zweig can investigate a new biography Impossible Exile: Stefan Zweig at the End of the World by George Prochnik. There was an irony for me to seeing Zweig's name and then learning more about him as the result of this film. Throughout watching The Grand Budapest Hotel, I kept thinking of another book I'd read, which is also by a well-respected European author who has largely become forgotten by modern English speaking readers: I Served the King of England by Bohumil Hrabal. That book is the story of "Ditie, a hugely ambitious but simple waiter in a deluxe Prague hotel in the years before World War II." Described by another Czech writer Milan Kundera as "an incredible union of earthy humor and baroque imagination", I think it would make good companion reading for those interested in The Grand Budapest Hotel.